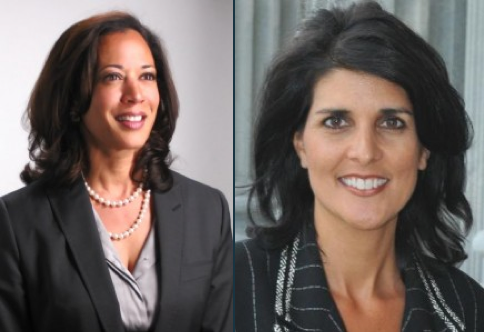 Washington, Nov 5 (IANS) Indian-Americans had a mixed outing in the US mid-term elections with Republican Nikki Haley and Democrat Kamala Harris re-elected as South Carolina’s governor and California’s attorney general respectively. But Republican Neel Thushar Kashkari was routed by California’s Democratic Governor Jerry Brown in Tuesday’s poll to win a historic fourth term, while Ami Bera, only the third Indian-American in the US Congress, was in a dead heat race for re-election from northern California. In the House race for Silicon valley, Democrat Ro Khanna, a former Obama administration Commerce Department official, was still trailing fellow Democrat seven term veteran incumbent Mike Honda. But the gap was narrowing Wednesday morning. Haley, born Nimrata ‘Nikki’ Randhawa, the 42-year-old daughter of Sikh immigrants from India, who became the first minority and first woman governor of South Carolina four years ago, handily beat Democratic state Senator Vincent Sheheen to win a second term. So did Kamala Harris, California’s first female Indian-American and African-American Attorney General against little-known Republican challenger Ronald Gold winning 55 percent of votes cast with 72 percent of precincts reporting. “Governor Nikki Haley has done an extraordinary job for South Carolina. Her leadership is making the difference,” Republican Governors Association chairman Chris Christie said in a statement following her re-election victory. “With Haley at the helm for four more years, South Carolina is sure to experience continued growth and success. No one fights harder for South Carolina than Governor Haley, and because of her, it’s going to be another great four years,” the New Jersey governor said. The first Hindu-American Congresswoman Tulsi Gabbard, who is not of Indian origin, has also coasted to a rollicking re-election House victory over Republican Kawika Crowley in President Barack Obama’s home state of Hawaii. Results of other races involving a record 30 Indian-Americans are still coming in. Four of them are seeking a two-year term in the House, two are running for governorships, three more for other top state jobs and 20 are eyeing legislative seats in 15 states.